PADI Bubble Maker is a great way to introduce children to scuba diving in a pool in less than six feet of water. Celebrate a birthday by throwing a memorable, exciting Bubblemaker party with friends and family. It’s fun, easy and safe. The youngsters can join in the family fun of scuba diving or even start a trend! With youngsters in mind, the maximum depth is only 2 metres/ 6 feet. Children use all the basic scuba gear, which is made for their size and stature. 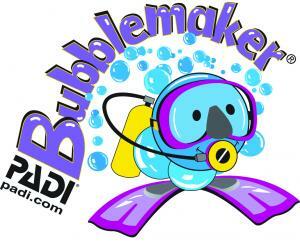 Check with us about setting up a Bubblemaker experience today. The PADI Seal Team is for young divers who are looking for action-packed fun in a pool by doing exciting scuba Aqua-Missions. These are Aqua-Missions that introduce you to wreck, navigation, buoyancy, underwater photography, environmental awareness and more. Reinforce safe diving skills while the kids are having fun. 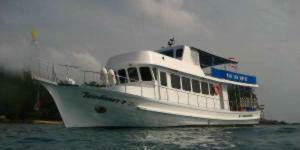 PADI Seals get to sample a wide variety of dives. 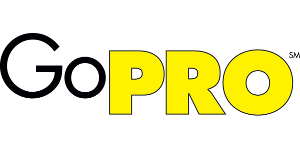 In addition, it provides parents with a structured program that lets their children develop skills, learn about the aquatic environment and have a lot of good, clean fun. This is also an excellent way to introduce kids to scuba diving prior to full Open Water Diver certification. Part one, Aqua-Missions 1 – 5, teaches kids the basics of diving – things like buoyancy control, mask clearing, regulator recovery, etc. You Use Children use all the basic scuba gear, which is made for their size and stature. 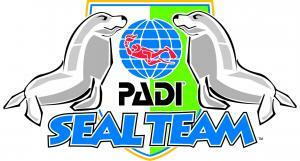 The Seal Team crew pak includes everything a PADI Seal Team member needs to prepare for their AquaMissions. Video on DVD? Check! Activity book? Check! Log book pages? Check! You are now cleared for an underwater adventure . . Your Next Adventure Upon successful completion of the first five Aqua-Missions, students become a PADI Seal Team members. 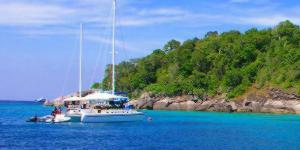 Young people can continue the adventure and build their skills by taking the Advanced Open Water Diver course with a few limitations Junior Open Water Divers ages 10-11 years must complete three adventure dives to become a Junior Adventure Diver. They must dive with a PADI Professional or certified parent/guardian. Dives must not exceed 12 metres/ 40 feet. Junior Open Water Divers ages 12-14 years may complete three Adventure Dives to earn the Junior Adventure Diver rating or five Adventure Dives to earn the Junior Advanced Open Water rating They must dive with a certified adult. Young divers ages 12-14 rise to challenges and learn how to master them in the PADI Rescue Diver course. Upon completion, they become Junior Rescue Divers. They must dive with a certified adult. Young divers ages 12-14 can continue building experience and exploring unique diving environments on their way to the Master Scuba Diver Rating. 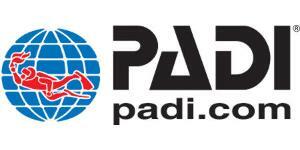 Want To Know More about PADI Courses In Phuket? We can help you with all the details and give you the information you need and want.